“Thoughts and Prayers” 2019 E.P. “Thoughts and Prayers" is a post-post-modern take on current American culture. 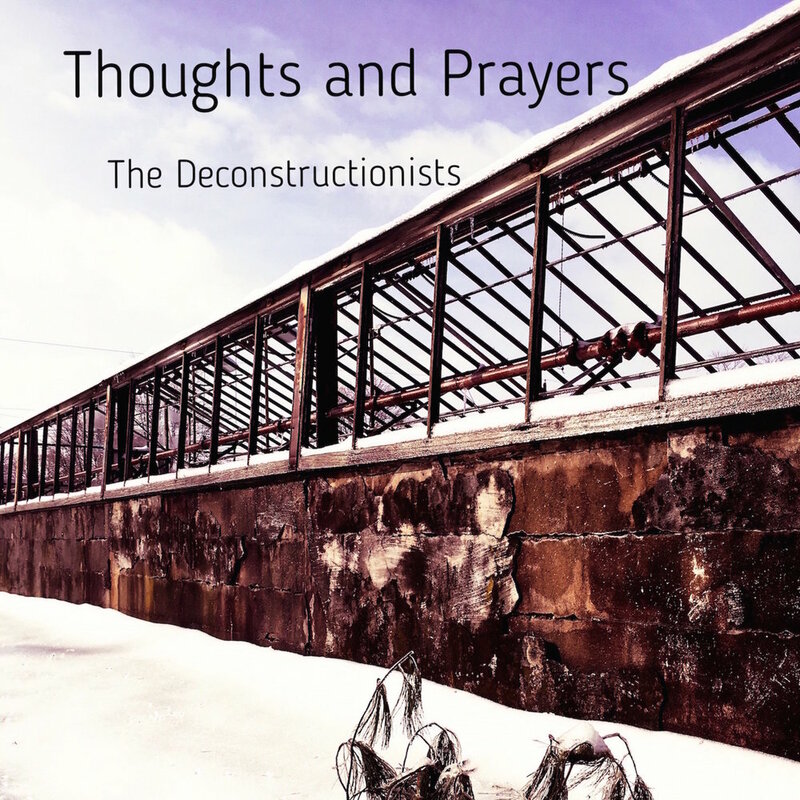 The Deconstructionists break from the acoustic/folk leanings of their previous self-titled release to experiment with more groove-centered soundscapes. Experimenting with sounds from classic and alternative rock, this 5-song E.P. carefully takes apart the layers of our modern mindsets on religion, politics, and authority, and feeds it back to us in easily digestible - yet complex morsals. Born out of the eternal search for what's true, and the desire to pass on to the next generation only the things that can stand up to questioning, "The Deconstructionists" contains 12 honest songs that chronicle the difficult process of tearing apart one's deeply engrained mindsets. Accompanied by some of his Waiting for Cadence bandmates (Joe Stauffer, Joel Meck, and Dan Carpenter) and others, Chris Kauffman takes the listener on a journey through the deconstruction process and, in some cases, back out again. Sonically dense on purpose, the listener should hear new things with each listen. Borrowing vibes from late 80's/early 90's alternative music as well as from the current indie and Americana scenes, Chris has created a layered sound that is interesting and unique. Cliches have no place in these writings as The Deconstructionists attempt to use words in new ways to describe the age-old search for truth.